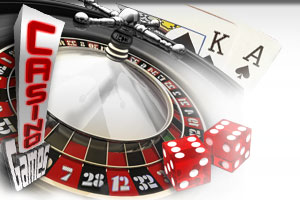 Few table games enjoy the popularity online or off that Blackjack does. Arguably the single most popular casino game in the world, the simple rules and skill-based make it a simple choice for anyone at any level of gambling skill. With such immense popularity, it’s not surprising that Blackjack comes in nearly as many variations as there are casino operators. Today, we’re going to discuss one of the most popular of those variations: Bonus Blackjack. Bonus Blackjack itself comes in a number of forms, so we’ll begin by discussing what they each share. The standard rules of Blackjack hold true in most forms of Bonus Blackjack; aim for 21, lose if you go over, lose if the dealer beats your hand, dealer stands on 17, splits, etc. If you’re familiar with standard Blackjack, you understand most of Bonus Blackjack already. If a casino runs a house variation of Blackjack, it may still offer Bonus Blackjack—the variation piggybacks well with any other. Each version of Bonus Blackjack hinges on a side bet with the dealer on whether the player or the dealer will get a blackjack. In the first variation, the player can bet on him or herself, the dealer, or both. If the player bets both and gets an ace and jack of spades blackjack, he or she wins a progressive bonus. The second version of Bonus Blackjack is less common, and only permits small bets. Wins come from various versions of blackjack, with different payouts for 777, 678, and suited blackjacks. There’s an extreme house edge on this version of Bonus Blackjack, so consider carefully if you’re playing this version. The third version of Bonus Blackjack only considers the player’s first two cards in most cases and the dealer’s cards for the top score. Suited cards break even, a pair pays double, unsuited blackjack pays triple, suited blackjack pays tenfold, and player and dealer blackjack pays twenty-five-fold. This is a popular variation, especially online, where it may be paired with casino-wide progressive bonuses.